Home / Employment / Be a Counselor! Being a counselor at Geneva Glen is an unforgettable experience. It is also a demanding job that requires hard work and selfless giving. The success of your camp experience will depend on your willingness to give of yourself to Geneva Glen -- its customs and traditions -- and to trust in the magic this camp works on children year in and year out. The counselor at Geneva Glen is a primary position and central to our purpose. The duties and responsibilities of the counselor are manifold, the benefits and rewards are great. 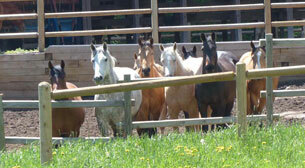 At Geneva Glen, the counselor experiences the totality of our thematic programming. 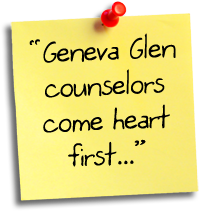 Consider your application to be a counselor at Geneva Glen seriously. If you feel you have a genuine interest, we very much want to hear from you. 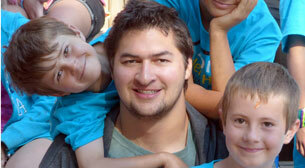 Your positive and enthusiastic example as a leader and role model is your primary contribution to camp. Your knowledge, skills and experience will be put to use in campâs diverse program as you enable campers to grow in self esteem with each success. Geneva Glen has always thrived on the creative contributions, talents and abilities counselors have contributed to the program. It is through the quality of its leaders that Geneva Glen is ensured its success. There is no doubt we ask a great deal from our counselors, and they work hard. But from the investment of self in their campers, counselors receive an abundance of rewarding experience that is of value all of their lives. Counselors have the opportunity to gain the richest benefits from Geneva Glen because of their close contact and involvement with children from all backgrounds. They are therefore most able to generate interest and stimulate the creative talents of these youths. Geneva Glen is famous for creating just such an atmosphere. 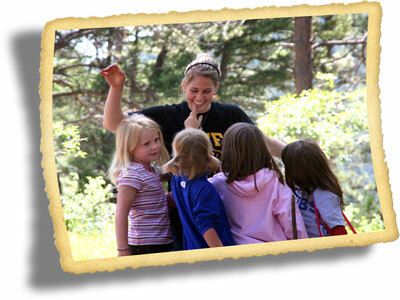 Counselors also can become proficient in each of the activity areas. In every circumstance, the counselor may learn the art of human relations, as Geneva Glen holds at the core of its philosophy the healthful and constructive development of the child, as well as the positive influence of leadership and fellowship for all of its staff. If you have special skills in a particular area, consider becoming an activity director.